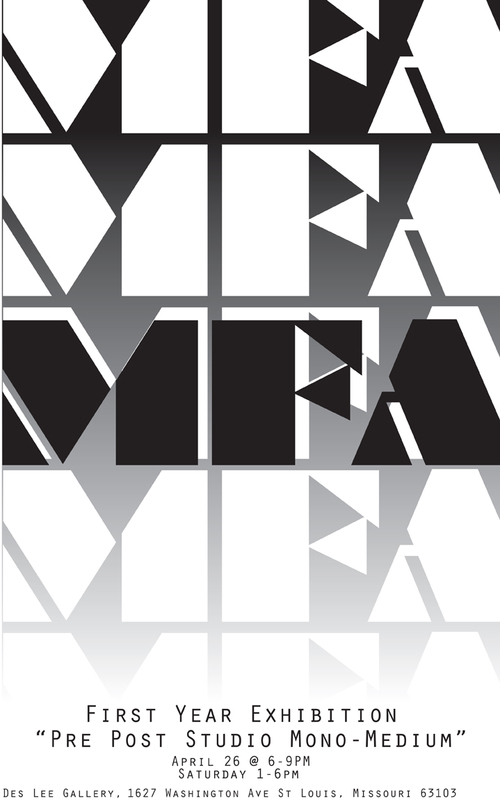 Join us for the opening reception of the exhibition of work by first-year MFA students, from 6-9p on Friday, April 26. Work by the following students will be featured: David Baker, Steve Byrnes, Shayna Cohn, Alyse Cole, Josh Cornelis, Seth Czaplewski, Adam Hogan, Christy Kirk, Jessie Shinn, Rosalynn Stovall, Chris Thompson, Gillian Tobin, and Sopearb Touch. Because of the large size of this year’s MFA class, the first-year exhibition is split into two parts; the second part opens Friday, May 10.